Wednesday, January 31 – Drawing contest! Above, you can see two kids playing with the Frozen game using the library Smartboard. Not only great for demoinstrating and watching the instructional videos, the Smartboard was also fun to code on. 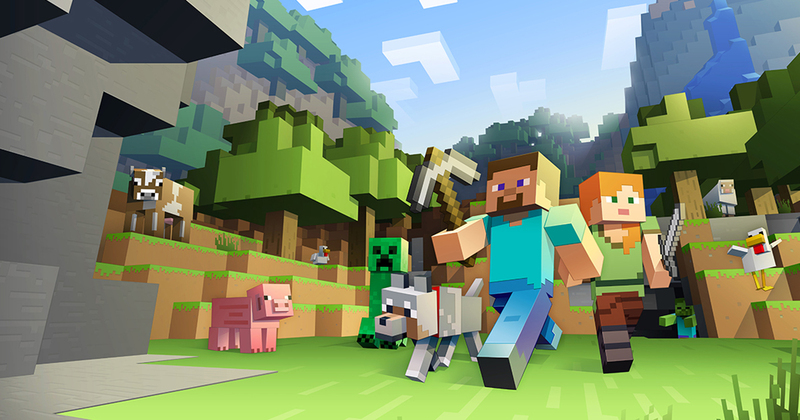 Such a big screen and easy to move the blocks around. Most of the kids used iPad minis in pairs and individually. You can also use desktops, other mobile devices, and even paper. People in my generation grew up learning to code our Commodore 64’s, using Logo at school, and trying to get our games to work using DOS. As such, our generation had experience with coding, but kids these days, well with slick operating systems, they often have no exposure to coding at all. 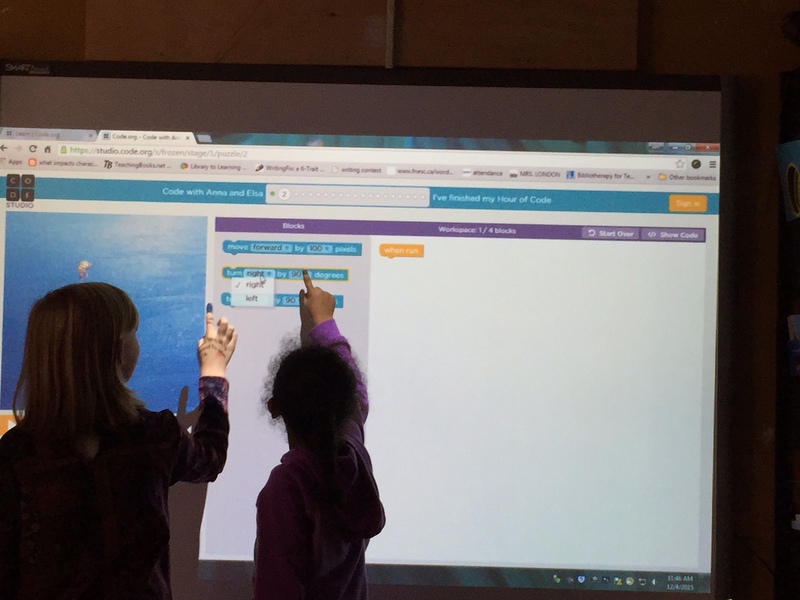 This is the second year I’ve participated in Hour of Code at Strathcona, having first heard about it from our fabulous Tech Mentor Annie Simard. I can’t wait to try it again. Hour of Code is a great introduction and a fabulous thing to do with your kids at home or in class. 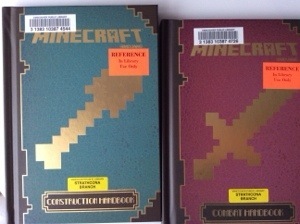 Check out our new Minecraft books! 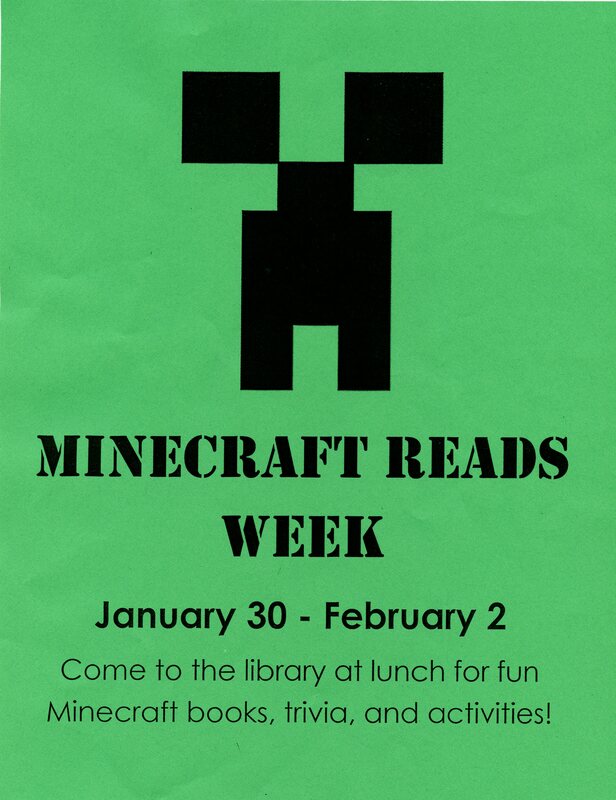 You can only read them in the library. They are not for borrowing. Find them in the reference area.